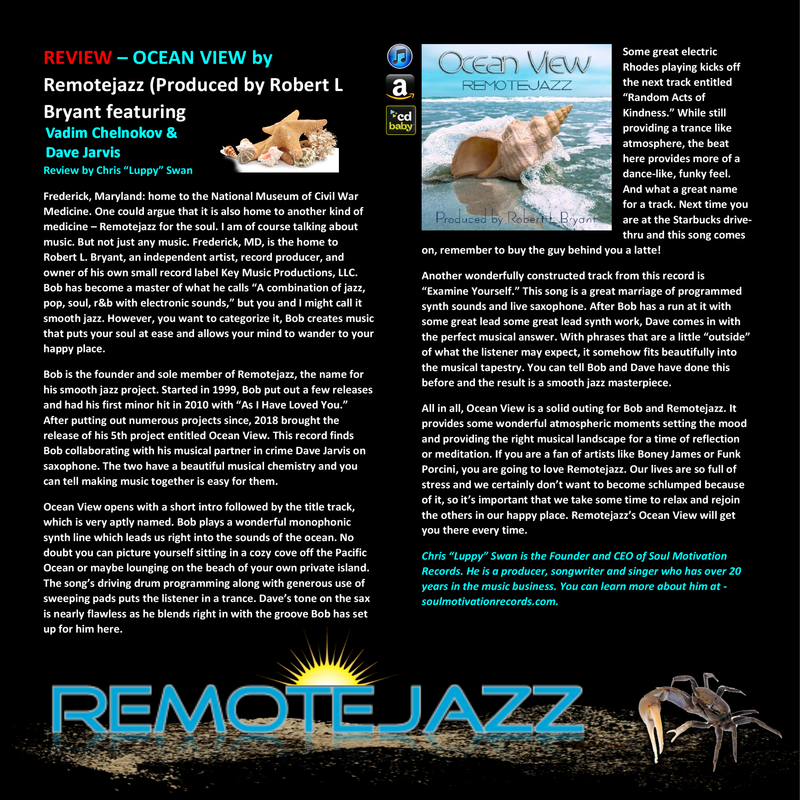 In 2018, the New Year will ring in with an awesome new release "Ocean View"; from the Frederick, Maryland based composer and producer Robert L Bryant. Under the hip moniker of "Remotejazz", Robert officially releases a strong and powerful collection of original jazz, chill, funk and downtempo house, that is both relaxing and inspiring. “Ocean View”, is the fifth major project release from Robert, whose peaceful sounds have been heard all over the planet. His last release “Reign of Peace”, debuted on the air at smoothjazz.com in 2017 and rose to number thirty-eight on their chart of the top 50 releases. It also hit the number one spot on the Indie Artists chart featured at 969theoasis.com. Robert’s unusual style of combining jazz and electronic sounds is quite unique. He manages to create a true atmosphere, that is tranquil and relaxing on the title track “Ocean View”. Collaborating with Vadim Chelnokov of (VAD75). These two artists have created one of the most exceptionally smooth and tranquil sounds to come around in years. “Ocean View”, truly evokes a serene vacation retreat to the Atlantic coastline. Included within the project is a “Smooth Sax” version of “Ocean View” arranged and performed live by Mr. Dave Jarvis. Making this the fifth such collaboration between these two talented musicians. All the songs on the project were mixed and produced by Robert L. Bryant for KMP Music Productions, LLC. ​​If you like the music of Amon Tobin, Funki Porcini, Boney James, Rick Braun, Mr. Scruff or the incomparable Paul Hardcastle, you will probably love "Remotejazz". We encourage you to sign up for our mailing list so that you can keep on top of all our groups latest news and Audio releases. "Ocean View" is our latest project release on KMP Music. Purchase and download your copy today. 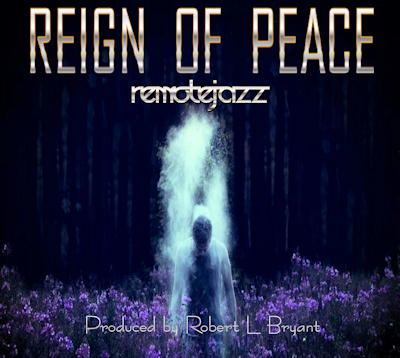 RemoteJazz presents Reign of Peace; straddling “chill” and “smooth jazz” with atmospheric sounds, and electronic harmonies wrapped up with a little bit of funk.